It’s been said tha t the road to hell is paved with good intentions, and that certainly applies to the world of dietary supplementation. 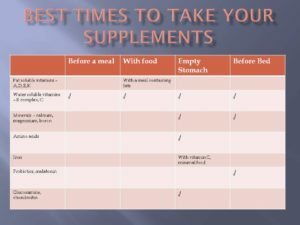 Many people, through research or recommendation, choose to take a variety of dietary supplements to improve their health, but what many don’t realize is that supplements need to be taken the RIGHT way, or you will impair the absorption of them, or simply end up with very expensive urine. Taking vitamins and herbal supplements together is usually not a problem but there are a few exceptions to keep in mind. 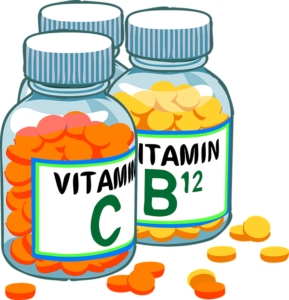 Traditionally, it is recommended that multivitamins formulas and water soluble vitamins – including the B-complex and vitamin C get taken with your meals for optimal absorption but in reality, they can be taken any time. However, fat soluble vitamins, such as vitamins A,D,E,& K – are best taken with a meal containing fats. The dietary fats enhance the absorption of the fat soluble nutrients. One small caveat, some people are sensitive to parts of the B-complex, and that can impair sleep. If this describes you, take your B-complex vitamins before 2 pm. The biggest mistake that people make with taking a multivitamin is taking it once a day. The body can only absorb so many nutrients at a time, so taking nutrients in divided doses will ensure you get the most from the products you buy. Fatty nutrients, like fish oil, coconut oil, flax seed oil, borage oil, evening primrose oil, and even coQ10 also do best when taken with a meal containing fats. Fats always like fats – any time you take them together, you will get more benefits. Certain nutrients require an acidic environment for optimal absorption. This usually means they do best when you haven’t diluted your stomach acid with food prior to taking them. Iron falls into this category. Iron is notorious for not only being difficult to absorb, but it can be highly irritating to your gastrointestinal tract. For this reason, it is commonly suggested that you take iron with vitamin C, which greatly enhances the amount your body can absorb, and take it with the least amount of food your stomach can handle without getting upset. But please keep in mind that iron does not like fiber or vitamin E. Either of these will bind together with the iron and you will negate their benefit. There are forms of iron that are less irritating than others as well – so please experiment with these to find one your body tolerates. Amino acid formulas also prefer acidic environments, so taking these supplements, which are often used in body building formulas, or individually for specific repair processes, on an empty stomach will ensure you get optimal absorption from them. 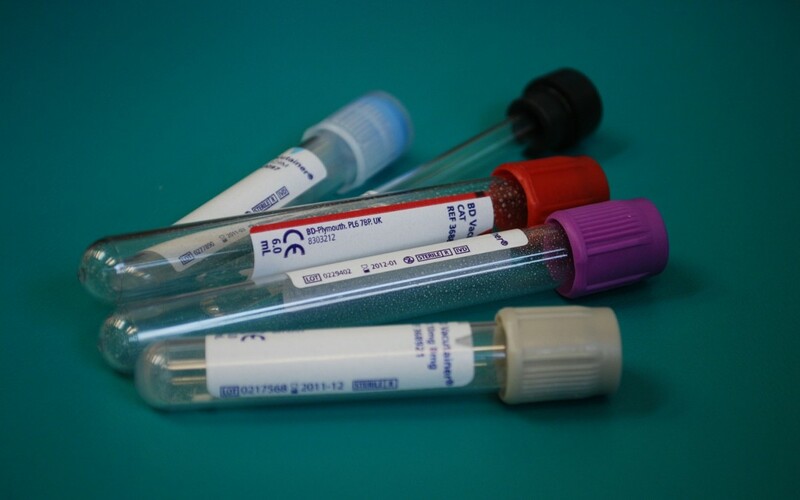 Joint products like glucosamine and chondroitin also require a highly acidic environment for absorption. While it may be inconvenient that you can’t take them with your meal, you will absorb up to 4X more from them by taking them alone. Other than calcium, probiotics are perhaps the most controversial supplement on this list. It is my opinion that most recommendations for probiotic dosing are designed to promote probiotic sales, and it not what is required for optimal absorption. I always suggest taking probiotics before bed since most people do not get up in the middle of the night to have a bowel movement. This ensures that the probiotics have the greatest amount of contact time in the intestine, which therefore gives them the greatest chance to grow and colonize. If you were to take them with food, not only are you increasing the amount that would be killed by prolonged exposure to stomach acid, but rapid peristalsis that occurs with physical activity and as your meals progress down your alimentary canal during the day, means that they keep getting pushed along, and are not in contact with the optimal regions of the large intestine to do you much good. Most commonly, digestive aids, enzymes, or other products should be taken at the beginning of a meal so that they may be thoroughly mixed with what you eat in your stomach. If you take it too late during your meal, most of your meal may have already passed into the small intestine, and it is simply too late to get the benefit of the product. If you have been diagnosed as being hypothyroid, you have likely already been directed to take your medication a minimum of 3-4 hours before any foods or supplements. If you have not received this advice, please speak to your doctor or pharmacist to confirm if you should be doing this with your particular brand of medication. Antacids elicit a quandary. Many people take them (far more than should) so their meals do not upset their stomach, yet, by diminishing your stomach acid, you also diminish your absorption of vitamins and minerals in your diet. This frequently leads to osteopenia or osteoporosis and other health problems. If you are taking your supplements with meals and you take antacids or PPI’s, then you need to speak to your healthcare providers to see what you can do to optimize your absorption of healthy nutrients. What you wash your supplements down with also makes a difference. Many medications and supplements interact with grapefruit juice, so please don’t use it to take pills of any form. That just plays it on the safe side. Green tea also interacts with a huge list of medications and supplements, so please avoid taking the two together. Milk can interfere with the absorption of a variety of nutrients, and therefore I do not recommend taking supplements with milk either. Even water can be problematic since some people tend to get reflux or their supplements will repeat on them if taken with plain old H20. So what can you take your supplements with — I recommend something lightly flavored, like diluted fruit juice or herbal teas. Even water with lemon. Herbal supplements all very, so please follow the label instructions on them for optimal results. So, as you can see, most supplements can be taken safely with your meals, and there are only a few exceptions to the rules. Knowing this, it becomes relative easy for you to divide up your supplements into a few you take with meals, and some on their own. Dietary supplementation need not be complicated. In my opinion, it is better to do something than nothing at all, and hopefully with this little guideline, it simplifies things enough so that you can use timing to get the most out of your health regimen.